Prior to and separate from the current water crisis, Flint was in a state of financial ruination. In one of the most liberal cities in the United States, Flint’s Democrat-dominated government did what Democrat-monopoly governments do in practically every city they control: It spent money as quickly as it could while at the same time [destroyed] the tax base with inept municipal services, onerous regulations, high taxes, and the like. As a result of this, a bankrupt Flint entered into a state of receivership, meaning that an emergency manager — or emergency financial manager, depending upon Michigan’s fluctuating fiscal-emergency law — was appointed by state authorities and given power to supersede local elected officials in some matters, especially financial ones. 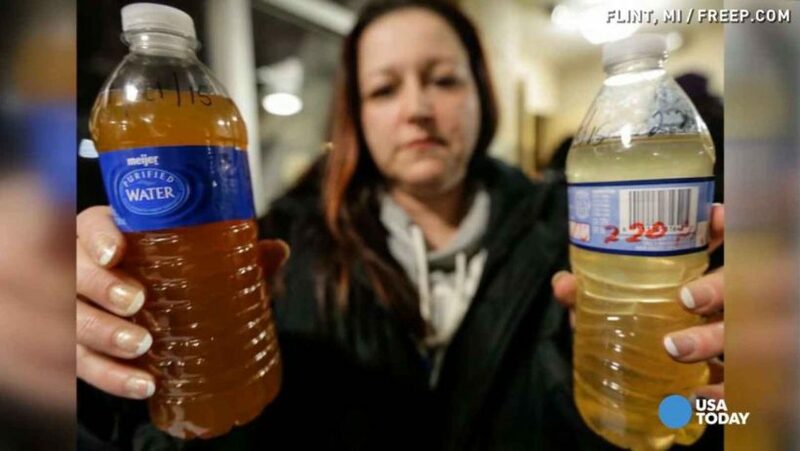 The water contamination happened while Flint was under the authority of an emergency manager who, though a Democrat, had been appointed to the post by Michigan’s Republican governor, Rick Snyder. He was, in fact, the most recent in a long line of emergency managers, Flint having failed for years to emerge from its state of fiscal emergency. Because the Democratic emergency manager was appointed by a Republican governor, [Democrats] have declared the situation in Flint to be a Republican scandal. Before the appointment of the (Democratic) emergency manager, Flint’s elected mayor and city council (Democrats) had decided to sever the city’s relationship with its drinking-water supplier, which was at the time the Detroit water authority. Flint intended to join a regional water authority that would pipe water in from Lake Huron, a project that was scheduled to take three years to come online. In a fit of pique, Detroit (a city under unitary Democratic control) immediately moved to terminate Flint’s water supply, leaving the city high and literally dry. Meanwhile, Michigan’s Department of Environmental Quality (DEQ) … seems at the very least to have suppressed worrisome findings about Flint’s water supply, and may have done worse than that. The federal Environmental Protection Agency (EPA) – whose Democratic chief was appointed by our Democratic president – knew for months that there were concerns about Flint’s water, and did nothing. the Obama administration’s EPA, having been informed about the issue, keeps mum. Posted at NationalReview .com on January 20, 2016. Reprinted here February 4, 2016 for educational purposes only. May not be reproduced on other websites without permission from National Review. 3. Re-read the last paragraph of the article. The Oxford-English Dictionary defines assertion as: a confident and forceful statement of fact or belief. Do you agree with the Editors’ assertion? Explain your answer.